To understand just how important this piece of real estate is ~ a piece of land that wars have been fought over for many centuries ~ we need to go back in time to see what exactly took place there and why it is so important today. Following the call of God, Abraham left the comfort of Ur of the Chaldees. God's promise beckoned to him: "And I will make you a great nation ... and in you all the families of the earth shall be blessed" (Genesis 12:2-3). Yet as the years passed and Abraham saw his earthly strength failing, he began to question God. After a time, he was even beginning to doubt. "0 Lord God," Abraham complained, "what wilt Thou give me, since I am childless and the heir of my house is Eliezer of Damascus?" (Genesis 15:2). God reiterated His promise of descendants from Abraham's own loins: "This man will not be your heir; but one who shall come forth from your own body; he shall be your heir" (Genesis 15:1). In time, God appeared to Abraham at the oaks of Mamre, saying, "I will surely return to you at this time next year; and behold, Sarah your wife shall have a son" (Gene­sis 18:10). The amazing rejuvenation of the aged Abraham and Sarah followed by the miraculous birth of their beautiful new baby Isaac (son of promise) (Genesis 15:1) was a most awesome manifestation of the supreme power of God to bring about anything He wants. Isaac was living proof of the power of prayer and Abraham's faith and hope in God. Abraham's pathway is the path of prayer: speaking out the inner-most yearnings of our hearts sincerely and honestly in the simplest of words and offering them to God, a service performed for the simple reason that this is what He wants of us: to turn to Him and ask Him for everything we need and desire. For this is the way to come to know and understand that everything in the world is from God. Moreover, isn’t God eternal and unchanging, as God declares: “I have not changed” (Malachi 3:6), implying that He does not change His mind? The Binding of Isaac in Genesis 22: 1 – 24 is a story from the Bible in which God asks Abraham to sacrifice his son, Isaac, on Mount Moriah. While it is often imagined that Isaac was a small child upon their arrival at the setting of the altar, some traditional sources claim he was an adult (noting that Jews are considered adults at age 13). The Book of Genesis does not tell the age of Isaac at the time; the Talmudic sages teach that Isaac was thirty-seven, likely based on the next biblical story, which is of Sarah's death at 127 (she was ninety when Isaac was born). Bishop Ussher's chronology would place Isaac at about 20 years of age. We also do not know when Abraham was told to sacrifice his son. In light of that awesome command from God, dates and times seemed inconsequential. Yet Jewish tradi­tion suggests a date: the first of Tishri, or Rosh Hashanah. Pious Jews today still plead with God to impute to them the mer­its of the fathers, especially their most righteous ancestor, Abraham, who was faithful to the point of offering his son as a sacrifice to God. The Jewish people remind God that indeed, there is some goodness in man, as if saying, "Look at Abraham, Lord, at what he was willing to sacrifice for You! Surely there must be some degree of his faithfulness in us! Won't you look upon us with mercy for his sake? We cannot measure up to him, but we beg for your mercy on account of his righteousness! " In “The Guide for the Perplexed,” Maimonides argues that the story of “The Binding of Isaac” contains two "great notions." First, Abraham's willingness to sacrifice Isaac demonstrates the limit of humanity's capability to both love and fear God. Second, because Abraham acted on a prophetic vision of what God had asked him to do. We cannot possibly fathom the love that Abraham felt for Isaac. Yet as great as his love was for his son, Abraham's love for God was even greater, for at God's request he was willing to sacrifice his soul's delight upon the altar. In Isaac was the fulfilment of God's promises. For Isaac he had left Ur. For Isaac he lived a life of wandering. Isaac was the fruit of Abraham's self-sacrificing life. God speaks of Isaac as Abraham's "only son" (Genesis 22:16), ignoring Ish­mael, who was not the child of promise. The promised son of Abraham leads us to the prom­ised Son of God in whom all is fulfilled ~ the promises to Abraham, Isaac, Moses, David, Israel, and all the world. For Isaac, Jacob, Joseph, David-all these and many other righteous in Israel are counted as having earned the favour of God. Great indeed was Abraham's love for Isaac, yet it pales when compared with God's love for His own Son. Abra­ham's love had grown from a close, intimate fellowship throughout the child's life, but the fellowship of the Father and the Son existed from eternity! Abraham's love was temporal, but the Father's love for Yeshua (Jesus) was eternal. And God did not ask of Abraham what He would ulti­mately demand from Himself. He did not allow Abraham to slay His son, yet He did not spare His own Son. He was ob­ligated by His holiness to turn His face from Yeshua (Jesus); the One He had loved through all eternity. In this the love of God was perfectly expressed; He allowed His only Son to die for the sins of unworthy men (Romans 5:8). Abraham's love for Isaac and his willingness to sacrifice his son are only the dimmest foreshadowing of God's own sacrifice on behalf of the world. After three days of anguish after Abraham was commanded to sacrifice Isaac they finally reached Mount Moriah. This according to Jewish tradition was the place from whose Earth Adam's body was formed. And, where Noah offered sacrifices after the Flood. This was also the place which was ~ and would be the site of the Holy Temple of God. Isaac accompanied Abraham, never expecting that he himself was to be the burnt offering. 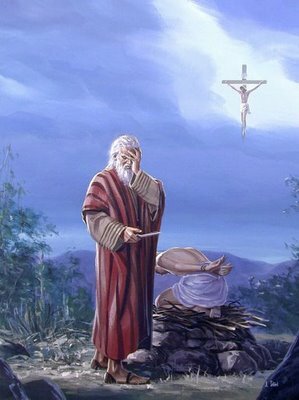 When he questioned his father about the sacrificial lamb, he was readily assured by Abraham that God would provide the animal at the right time. Isaac must have been terrified as his father took the rope, wound it around him, and placed his bound body upon the altar. Yet he lay without struggle. In obedience to his beloved father and to God, Isaac allowed himself to be prepared for sacrifice. Abraham stretched out his arm, gathering the courage to plunge the blade into his son's flesh. Suddenly, he heard a voice. "Abraham! ... Do not stretch out your hand against the lad ... for now I know that you fear God, since you have not withheld your son, your only son, from Me" (Gen­esis 22:11-12). Abraham's thankfulness to discover the substitute ram was beyond description… but what of Isaac's feelings? Was he not justified in resenting the God who had demanded his life for no apparent reason? No! Throughout the rest of his life, Isaac continued to be an obedient son and a faith­ful follower of his father's God. What an example of faith and obedience! The obedience of Yeshua (Jesus) was much greater still. In ago­ny, He cried out to God to be delivered from the bitter cup of death, yet obedience to His Father's will propelled Him to His destiny, to fulfill the mission for which He had come. Hundreds of years before, the prophet Isaiah had written, "He was oppressed and He was afflicted, yet He did not open His mouth; like a lamb that is led to slaughter, and like a sheep that is silent before its shearers, so He did not open His mouth" (Isaiah 53:7). Like Isaac's birth, the birth of Yeshua (Jesus) was a miracle. The child Yeshua was conceived through the power of the Holy Spirit (Luke 1:35). In the same way God made a promise to Abraham, He promised to send His Son to be the redeemer of Abraham's seed and of the whole world. Centuries before His birth, the Scriptures foretold the coming of One who would be God incarnate. His miraculous birth would bring the Lord Himself to dwell among men (Isaiah 7:14). He would be worthy to bear the name of God (Isaiah 9:6 - 7) and receive the homage of the nations (Psalm 2). We do not know Isaac's age at the time of the Akedah. He was definitely old enough to carry the wood for the burnt offering to Mount Moriah. He may have been of age to sin, but certainly he was not guilty of any crime deserv­ing death. Yeshua (Jesus) is portrayed by Scripture as perfectly innocent and without sin: "He had done no violence, nor was there any deceit in His mouth" (Isaiah S3:9b). He died for the sins of the ungodly who deserved the penalty instead (Isa­iah S3:6). Like the substitute; ram God provided for Isaac, Yeshua (Jesus) was the perfect substitute for us. And we can rejoice with Abraham that God has "provided for Himself the lamb for the burnt offering" (Genesis 22:8). Yeshua (Jesus) is the Lamb of God. Proverbs also con­tains an astounding reference to Him: "Who has ascended into heaven and descended? Who has gathered the wind in His fists? Who has wrapped the waters in His garment? Who has established all the ends of the earth? What is His name or His Son's name? Surely you know!" (Proverbs 30:4). Isaac was certainly a type of the “greater Son” whose coming would fulfill the hopes of all people. Yet Isaac was more than merely a type, for it was from his own loins that the future Son of Promise would be born. Yeshua the Messiah was a direct descendant of Isaac. Old Testament: Isaac, Abraham’s only covenant son. New Testament: Jesus, God’s only begotten Son. Old Testament: Abraham and Isaac saw the mountain on the 3rd day. New Testament: Yeshua (Jesus) was raised on the 3rd day. Old Testament: Isaac carried the wood on his back and also lay on his back on the wood. New Testament: Yeshua (Jesus) carried the cross on his back and was nailed onto the cross with His back on the wood. Old Testament: Predicted that a lamb would be seen on Mt. Moriah (Genesis 22:8) and a substitute ram replaced Isaac as the sacrifice. New Testament: Yeshua was the substitute lamb for all mankind. Old Testament: Abraham took Isaac to Mt. Moriah in Jerusalem. New Testament: Yeshua (Jesus) had to go to Jerusalem to die there and was crucified near Mt. Moriah. Old Testament: Abraham represents God the Father and Isaac the only begotten Son. Old Testament: Two servants accompanied Abraham and Isaac to Mt. Moriah and waited at the foot of the hill. New Testament: The two men represent the two thieves on the cross at Yeshua’s (Jesus) crucifixion. The rabbis believed that the sacrifice of Isaac was more than a "close call." One passage of the traditional lit­erature tells us that Isaac actually died of terror while bound upon the altar and was revived by the voice from heaven telling his father to stay the knife (Pirke de Rabbi Eliezer 31). The Jewish writers of the New Testament echoed this traditional belief, as they spoke of Isaac as a type of Christ. The author of Hebrews wrote, "He [Abraham] considered that God is able to raise men even from the dead; from which he also received him back as a type" (Hebrews 11:19). Whether or not Isaac actually died and was resurrected, he was offered to God in Abraham's heart and returned to his father as if raised from the dead. Isaac, the "child of promise," lived as having been res­urrected from the dead. In this, he is a type of all New Cov­enant believers, for we too live in "newness of life," having died with Christ and made alive through His resurrec­tion (Romans 6:4). Abraham believed God could raise Isaac from the dead. When he told his servants that he and Isaac were go­ing up to the mountain to offer the sacrifice, he said, "Stay here with the donkey, and I and the lad will go yonder; and we will worship and return to you" (Genesis 22:5). Abra­ham did not say, "If we return." He said, "We will return." He had faith that the lad would come back. Resurrection hope must have been central to Abra­ham's faith. How else could he resolve the conflict between God's command to sacrifice his son and the divine promise that was rooted in Isaac? The name Moriah is “composed of two words meaning "to see" and the oth­er being the name of God. The name literally means "the ~ shown of Jehovah" or even "the manifestation of Jehovah." Abraham called the mountain "Jehovah Jireh," which means "God will provide." Little did he know that the same mountain would provide substitution for multitudes of his descendants? Mount Moriah would be the site of God’s Holy Temple. 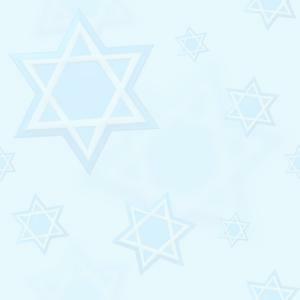 The one place on the earth where ac­ceptable sacrifices could be offered and where His “Shekinah” presence would dwell. The binding of Isaac prefigures the entire sacrificial system as ultimately fulfilled in Jesus Christ. David ruled as king for seven years in Hebron, and then established his throne in Jerusalem after overcoming the ancient Jebusite (Canaanite) community there. His reign continued there in Jerusalem for the next 32 years. Secure on his throne and dwelling in a magnificent palace of cedar and stone, David began to be concerned that he, the visible king, dwelled in a magnificent house, but the invisible King of kings still dwelt in an aging temporary tent, the Tabernacle of Moses. At first the prophet Nathan gave David approval to construct a temple, but the following night God intervened. Speaking to Nathan in a dream God laid out for David an amazing Covenant whose promises continue to this present day. God committed himself to establishing the house of David forever, to a specific land and people (Israel), and to a temple (2 Samuel 7). For many centuries, the event saturated the space and soil of Mount Moriah. Then, in the year 2928 from creation (833 BC), King Solomon gave physical substance and form to the Akedah, erecting the Holy Temple or Solomon’s Temple (1 Kings 6), on the very spot where Abraham had built his altar and bound his son as a sacrifice to God. Solomon's Temple embodied the two principles implicit in the “Binding of Isaac” (1) man's supreme commitment to God and (2) God’s unequivocal revelation of Himself to man. The Temple (Beit HaMikdash) was the centre of the universe in all that regards man's service of God. Here was the altar on which were brought the daily and seasonal offerings in which every individual was a partner. Here the farmer brought the first fruits to ripen in his orchard and the shepherd brought the first-born of his flocks. If a person had a sin to atone for, a personal salvation to be thankful for, a vow to fulfill, or the simple desire to contribute something of his heart and fortune to the Almighty, he came to Solomon’s Temple. Following the Akedah (the binding of Isaac), Abraham named Mount Moriah; “Har Hashem Yireh” "The Mountain on which God Shall Reveal Himself", and from the Temple that Solomon built on the site "the divine light emanated to the entire world." This was God's "home," the place where He chose to house His manifest presence in the physical world. Islam doesn't just hijack planes; it hijacks the things that are sacred to people. The great cities of the world are littered with relics of the Muslim occupation of their sacred places and turning them into mosques. It wasn't enough for Muslims to conquer Jerusalem and subjugate its inhabitants. No! They also had to hijack the holiest place of the Bible; “The Temple Mount” (Mount Moriah and Solomon’s Temple), in Judaism and Christianity and build a mosque on top of it. (Similarly it wasn't enough for them to conquer and rename Constantinople to Turkey; they also had to turn “the Hagia Sophia Church” into a mosque). There are no exceptions to their rule and Koran! Muhammad attempted to Islamize Jerusalem and convince the Jews near Medina to join his young community, and by way of persuasion, established the direction of prayer (kiblah) to be to the north, towards Jerusalem, in keeping with Jewish practice; but after he failed in this attempt he turned against the Jews, killed many of them, and directed the kiblah southward, towards Mecca. Muhammad's abandonment of Jerusalem explains the fact that this city is not mentioned even once in the Koran. After Palestine was occupied by the Moslems, its capital was Ramlah, 30 miles to the west of Jerusalem, signifying that Jerusalem meant nothing to them! Another aim of the Islamization of Jerusalem is to undermine the legitimacy of the older religions, Judaism and Christianity, which consider Jerusalem to be the Holy City of the God of Abraham, Isaac and Jacob. Islam is presented to Muslims as the only legitimate religion, destined to replace each in its turn; Judaism and Christianity, and the true Word of God, the Bible. More than ever before do we need to STAND with Israel and support her God-given right to the land. God is watching over Jerusalem and His chosen people and sees those who are trying to divide His Land. Abra­ham's sacrifice of Isaac typified gloriously the sacrifice of our Heavenly Father of His Son, and the willingness of the Son, Yeshua, to offer Himself unto salvation of all men, Isaac is a beautiful type of Christ." One day the Shofar will blow, and the spiritual descendants of Isaac will be raised to meet the greater Son of Isaac and enjoy His presence forever. Until then, may the willingness of Abraham and the obedience of Isaac serve as an inspiring example to all of us!